What does a broadcast and sound engineering technician do? Would you make a good broadcast and sound engineering technician? Take our career test to find out how you match with this and over 800 other careers. 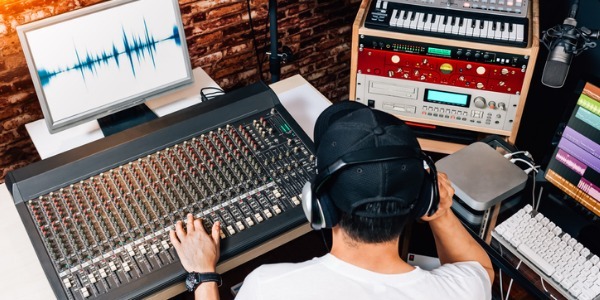 What is a Broadcast and Sound Engineering Technician? What is the workplace of a Broadcast and Sound Engineering Technician like? A broadcast and sound engineering technician is someone who will set up, operate, and maintain the electrical equipment for radio and television broadcasts, concerts, sound recordings, and movies as well as in office and school buildings. They generally work indoors in radio, television, or recording studios. However, those who broadcast news and other programs outside the studio may work outdoors in all types of weather. These workers may also be called broadcast or sound engineering technicians, operators, or engineers. At smaller radio and television stations, broadcast and sound technicians may do many jobs. At larger stations, they are likely to specialize more, although even their job assignments may change from day to day. A broadcast and sound engineering technician will set up and operate audio and video equipment, although the kind of equipment they use may depend on the particular type of technician or industry. They also connect wires and cables and set up and operate sound and mixing boards and related electronic equipment. They work with microphones, speakers, video screens, projectors, video monitors, and recording equipment. The equipment they operate is used for meetings, concerts, sports events, conventions, news conferences, lectures, and presentations in businesses and universities. They may also set up and operate custom lighting systems. They frequently work directly with clients and must listen to, understand, and provide solutions to problems in a simple and clear manner. In addition, many audio and video equipment technicians are self-employed and must spend time marketing their practice to prospective clients. 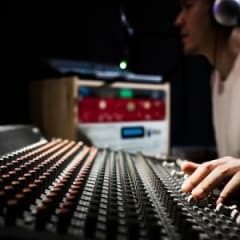 Sound engineering technicians operate machines and equipment that record, synchronize, mix, or reproduce music, voices, or sound effects in recording studios, sporting arenas, theatre productions, or movie and video productions. They record audio performances or events, and may combine tracks that were recorded separately to create a multi-layered final product. Sound engineering technicians operate transmitters to broadcast radio or television programs and use computers both to program the equipment, and to edit audio recordings. Are you suited to be a broadcast and sound engineering technician? Broadcast and sound engineering technicians have distinct personalities. They tend to be realistic individuals, which means they’re independent, stable, persistent, genuine, practical, and thrifty. They like tasks that are tactile, physical, athletic, or mechanical. Some of them are also conventional, meaning they’re conscientious and conservative. Does this sound like you? Take our free career test to find out if becoming a broadcast and sound engineering technician is right for you. A broadcast and sound engineering technician typically works indoors in radio, television, movie, or recording studios. However, some work outdoors in all types of conditions to broadcast news and other programs. Audio and video technicians also set up audiovisual systems in offices, schools, government agencies, hospitals, and homes.